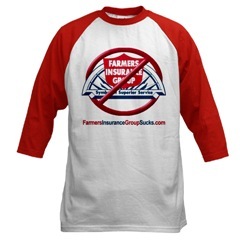 Farmers Insurance rated well below average in both J.D. Power and Associates 2007 Homeowners Insurance Study and the J.D. Power and Associates 2007 National Auto Insurance Study. FARMERS refused to pay our claim after their insured rear-ended my wife & kids while they were stopped at a stop light. Their insured stated that he thought his foot was on the brake. FARMERS refused to negotiate their low-ball offer, forced us to court where their lawyer twisted the truth and was aided by the biased unfair small claims judge who acted more like the lawyers tag team partner than a trier of facts. We had just over $3,000 in Dr.s bills and was only asking for $5,000 total. The Scott Co. Iowa "judge" awarded $0. We will seek recourse & remedy. I just wanted to tell you good luck and go for it!!! !